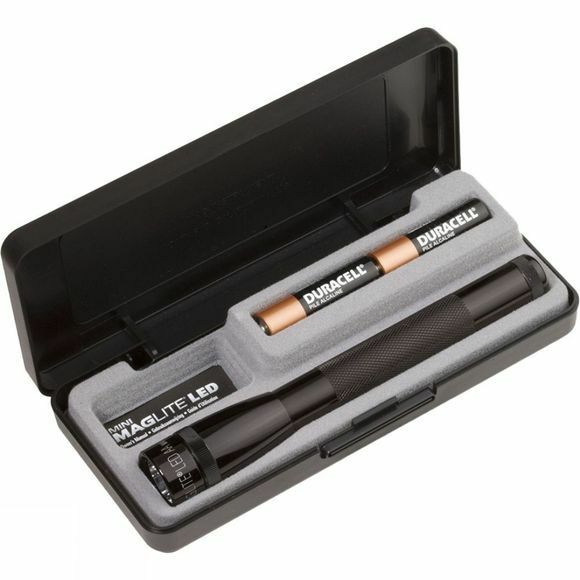 The Mini Maglite LED 2-Cell AA Torch brings together performance-oriented features a sleek, compact design. Twist the bezel to turn on the beam, turn off the beam, or adjust its focus between spot and flood. The multi-selector switch also allows you to choose between four operating modes. The full power setting gives maximum brightness; power save mode reduces output to 25 percent to conserve battery power for reading at night, or for a prolonged emergency; blink mode gives a pulse of light once per second; finally, SOS mode signals the International More Code emergency message.